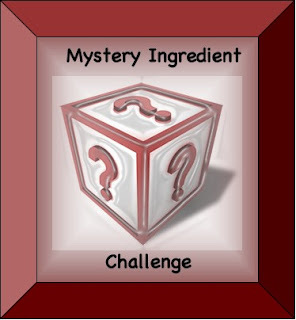 For first time challengers, the idea was sparked by my favorite Food Network show, Chopped, where four chefs are given baskets of mystery ingredients and must make a dish that utilizes all of the ingredients. The first month I was challenged by my boyfriend and the challenge was created. The winner each month will be randomly chosen from all of the eligible entries. This month's winner will receive a $10 Starbuck's giftcard so you can pick up a couple of cool refreshing beverages. In order to be eligible, post your recipe to your blog along with a picture of the dish you made and the challenge logo. Then post a link back to your blog on this post by August 31 at 11:59PST. We've been eating a lot of nectarines lately. It would be interesting to combine them with a hot sauce in a recipe. Can't wait to see what everyone comes up with, especially because nectarines are among my fave summer fruits. My goodness, you certainly know how to get someone's creative juices flowing. My hubby enjoys anything with hot sauce. My entry! And on time this month.